Masked gunmen robbed another area convenience store overnight, the second targeting of a 7-Eleven by similarly-described offenders since last Tuesday. Two men, both armed with revolvers, walked into the 7-Eleven store at Clark and Southport around 3:30AM and demanded the store’s cash. They were last seen running southbound with the contents of both cash registers. Witnesses describe the pair as two black men in their early- to mid-20’s, about 5’5” to 5’8” tall, with black scarves covering their faces. One wore a white jacket and the other wore a brown jacket. Both were armed with handguns. 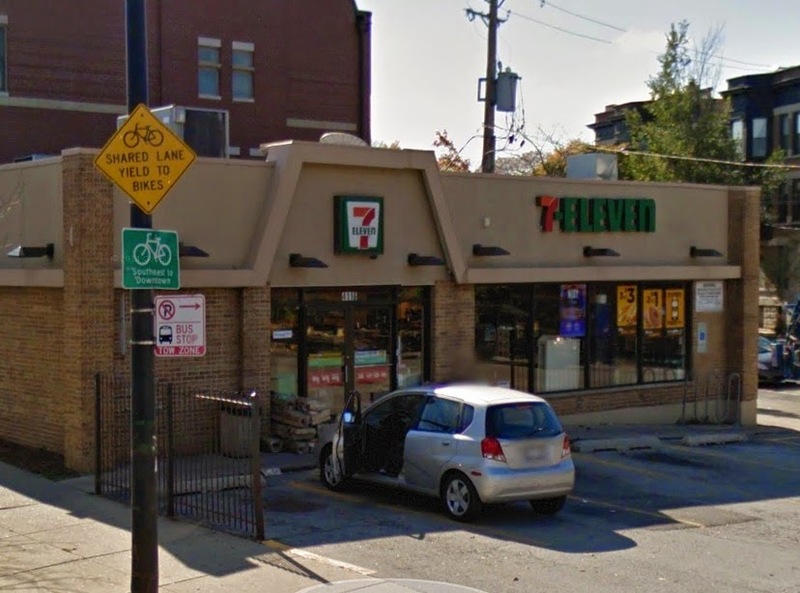 This morning’s incident closely resembles the early morning robbery of a Boystown 7-Eleven on March 11. In that case, two men with “black masks” entered the store at Broadway and Waveland around 3:45AM and demanded cash at gunpoint. The offenders were described as two black men about 5’10” tall. They were last seen heading south on Broadway.